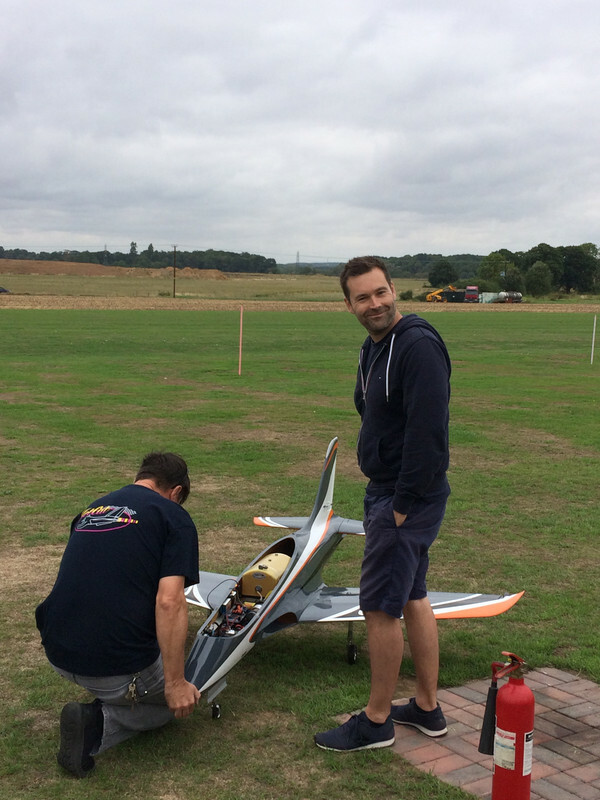 Awesome day at PMFC, test flew PK's Avanti P-140, XG-14 combo and helped Pier's with his first flight. (He needs to work on his post flight triumphant pose!) Test flights on Bob White's CARF P-47 MOki 250 dream machine. Lovely model and flies great. Very quiet today, good and bad! Lucky you. I was up at Castle Kennedy and the cloud base was so low we couldn't fly. Meanwhile we are getting pictures from down south! 6.5 hours later and I'm home having given up. Another amazing day, quieter than Saturday! wind down the strip. Four more flights on Bob White's SG Hawk. 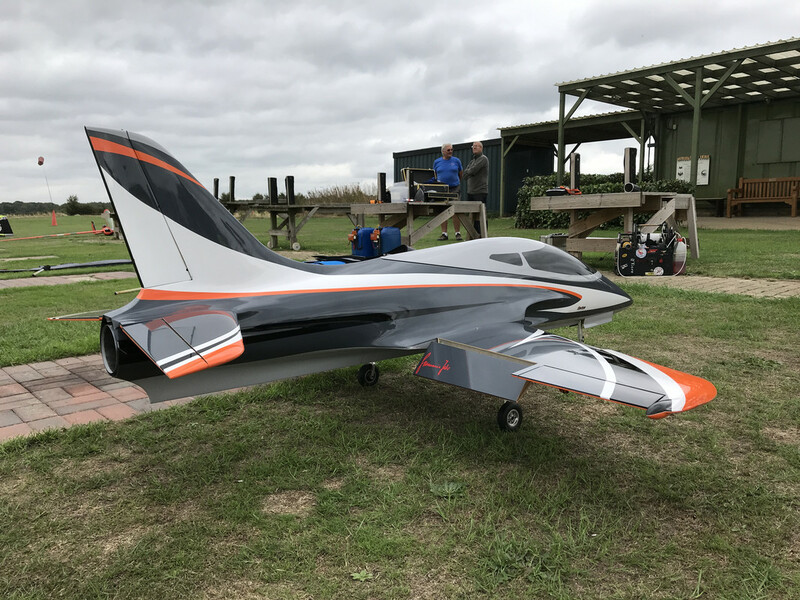 Great day at PMFC, we finally got Sam's Avanti airbourne and him on the sticks and also Stuart Naylor's CARF DG-800 6m block of carbon-powered by a JetCat P-100Rx...what a toy!! You end up with a face like Stevie's when he had his first go! Fantastic morning at the field. Thanks for the help Dave.